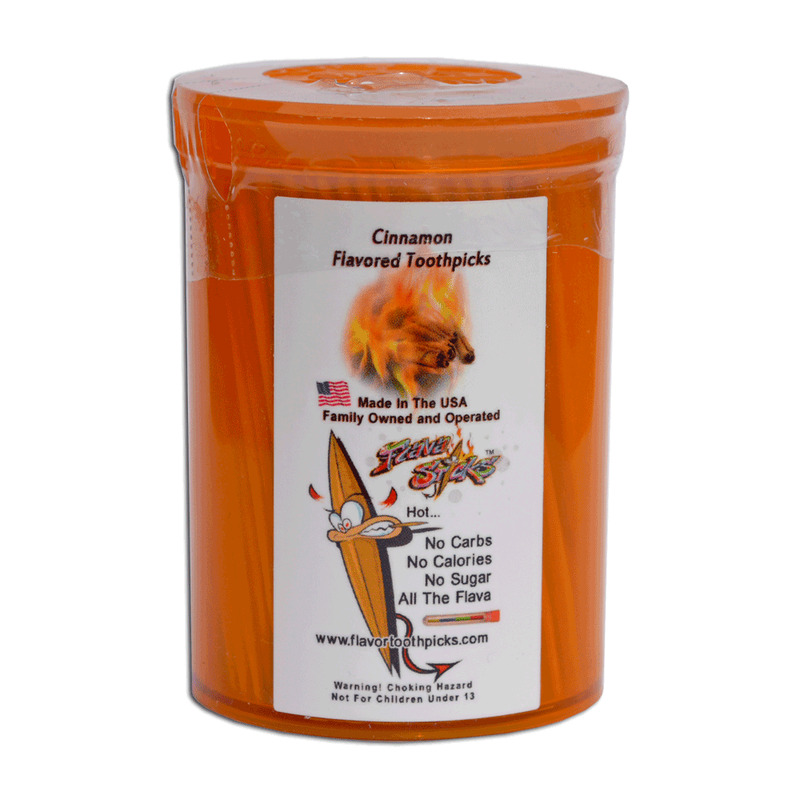 Try our Hot, Sweet and Spicy Cinnamon Flavored Toothpicks Today. 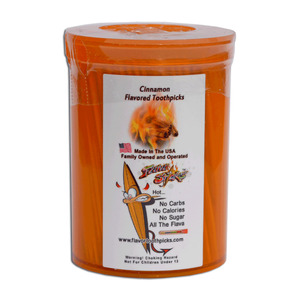 275 cinnamon flavored toothpicks in a air tight plastic pop top bottle for long lasting storage and easy shipping. We have the right to substitute a jar in case of backordering by manufacturer. 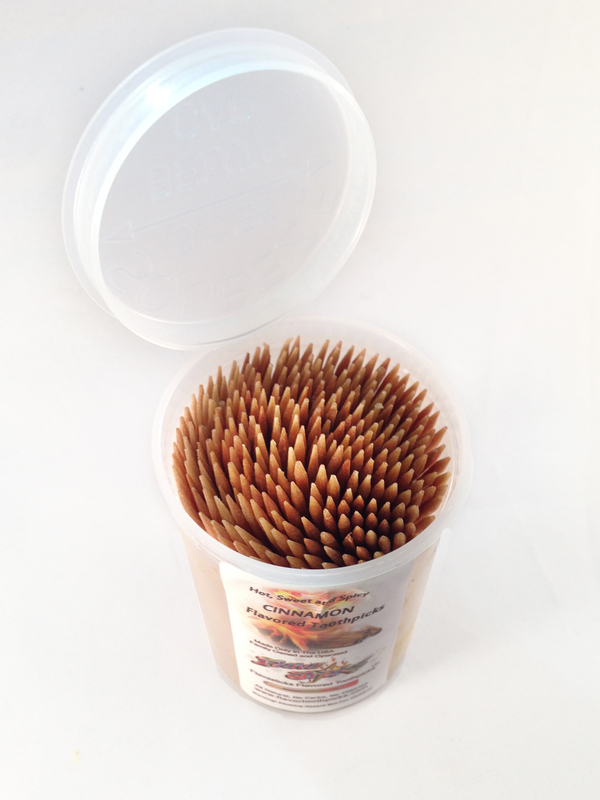 Don't Have Flavasticks At Your Local Restaurant, Tell Them or Refer Us.